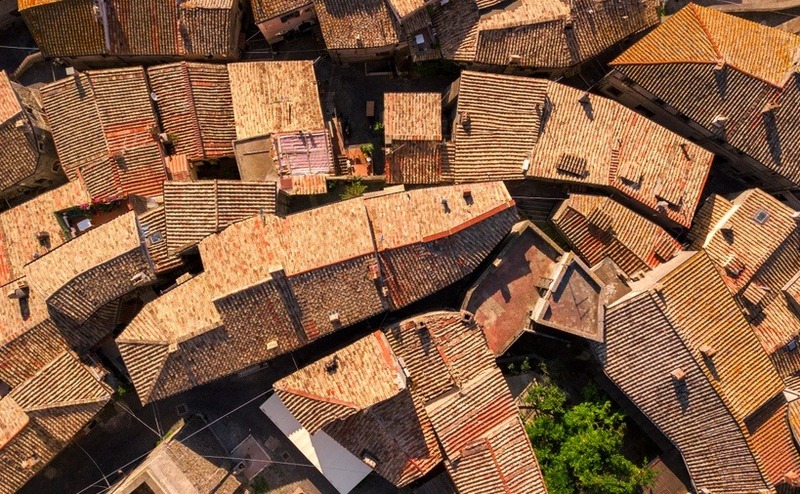 From the dome of the Pantheon to the ceiling of the Sistine Chapel, the trulli of Puglia to the terracotta roofs of Florence, Italians craft the most beautiful ceilings and roofs in the world. In their more every day residences too, Italian builders take pride in a well-crafted rafter and a nice bit of slate. Just look upwards at the amazing roofs and ceilings of Italian character properties. We’d just finished renovating our stone farmhouse when we spotted two tiny photos on the internet of a farmhouse (masserie) for sale in Puglia. What we found so intriguing was the crenellations on the roof. It wasn’t a style we had seen before,so we decided that once our house was sold we would head straight down to Puglia to take a look. Italians craft the most beautiful ceilings and roofs in the world. I used to do Google image searches for “character stone houses for sale” and would see lots of beautiful limestone farmhouses in Italy, similar to the home we already had. We just love finding an old stone house that has been unlived in for years and discovering character features and bits and pieces left behind by the previous owner, that tell a story of its history. We’ve found old wooden barrels and large green glass bottles for wine making and hooks in the ceilings where cheese, tomatoes or meat were hung. It’s so exciting when you find old wooden doors or an arch that has been covered by layers of paint. Especially when you discover they lead to a room with a breath-taking ceiling. Italy has many charming houses built with thick limestone walls and they can be found across most regions. Typically, they will also have timber framed roofs with red roof tiles, just how you would imagine a roman tiled roof to look. It’s what makes cities like Florence and Bologna look so amazing from the air. I should point out at this stage that the word for roof in Italian is “tetto” and roofs is “tetti”. A slight slip in your pronunciation, like adding and “a” at the end instead of an “o”, can lead to some very embarrassing conversations. You can’t go too far wrong with the word for “ceiling” which is “Soffitto”, as “Soffitta” is attic. We had experience of replacing timber-framed tiled roofs before. The first house we renovated was a tall stone building in the centre of a village, so we got in a local team of roofers for advice. They explained how the tops of the walls would have to be earthquake-proofed first before they put the new roof on. Because of height restrictions of buildings, the top part of the metre-thick stone walls had to be removed, along with the old roof. That’s an awful lot of rubble to take away before you start. Not easy when the house is in a small village with narrow streets only just wide enough for a car. Then we had a 20cm concrete sill put on top with metal rods running through it to brace the tops of the walls together. It’s like putting a belt on to control the wobble in case of earthquake. Metal rods also went through the roof timbers. The builders pumped concrete in from a cement mixer with an extending arm. A team of six men completed the roof including timbers and tiles in just five days. The second roof we had to do was for a loggia. For this one we were able to do it ourselves, reusing most of the timbers and tiles. The tiles were the old over-and-under type, and we were able to salvage enough of them to use as “overs”. These would be the visible ones so we wanted them to look weathered and original. Then we replaced all the underneath tiles with new ones, these being the part that acted as guttering for rain water. Once it was finished, it looked like it could have been there for hundreds of years. It added a character feature to the rear of the house which we used as an outside dining area. 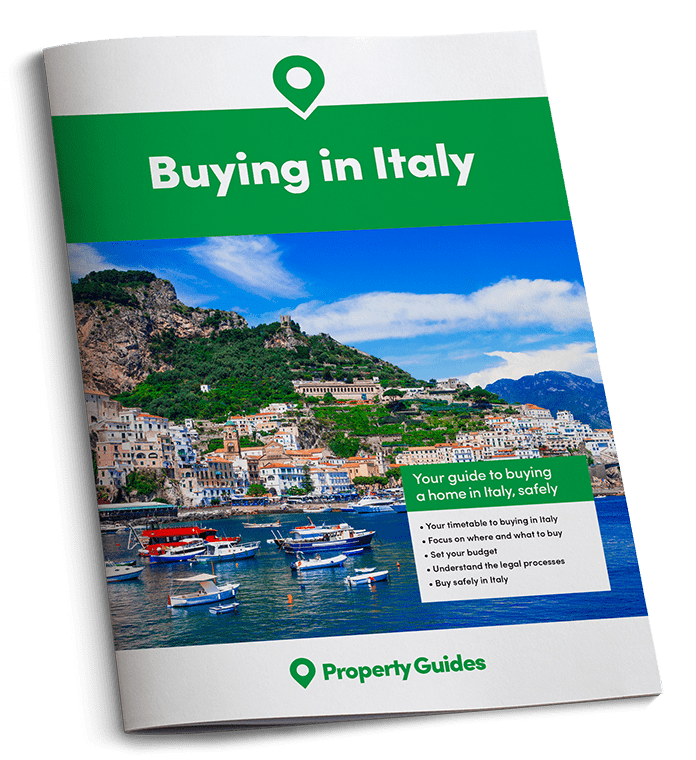 Knowing how to negotiate for your Italian property might just mean you can afford that property with beautiful ceilings! Read our free guide: How to Negotiate Abroad. When we viewed the masseria in Puglia we were amazed by the ceilings. From the outside most Puglian properties appear to look quite boxey, with flat roofs. 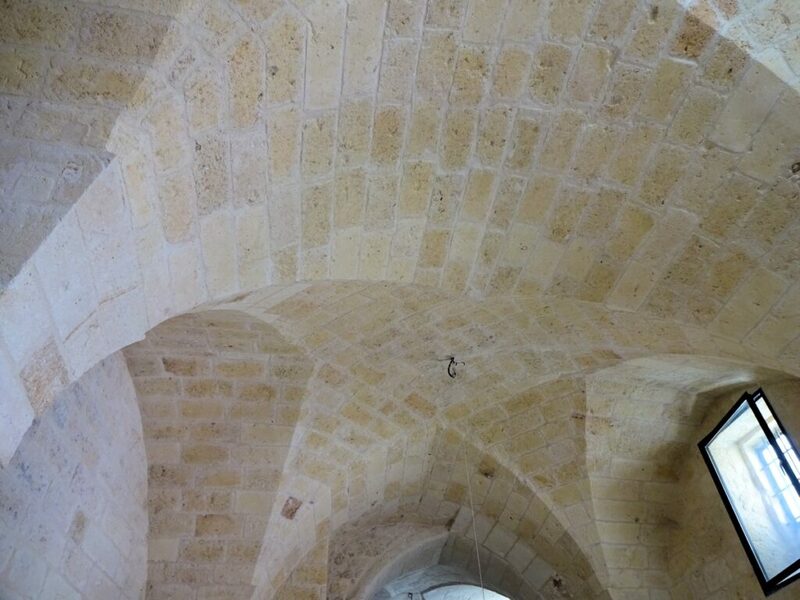 But on the inside, the ceilings of the masseria were high and vaulted, in the shape of a four-pointed star. The cellar room (Cantina) had a barrel ceiling which,like the other ceilings, was covered in layers of paint and surface mould. As we had seen an exposed stone ceiling in a local café, we realised that underneath there would be blocks of sandstone (called tufi locally). We didn’t know what condition it would be in under the paint but were excited about the prospect of finding out. After buying the property we set about uncovering these amazing ceilings. We’d noticed that in other places some ceilings had chip marks in the soft sandstone from the process of chipping off paint. So, we decided to try and take off the layers by using a small hand axe, chipping flat across. It took a long time but left a lot less marks on the stone. Underneath, the stone looked like new, other than some holes where in the past nails and hooks had been put in the ceiling to hang produce. Years later, I still look at our ceilings and imagine how back in the 17th century someone had cut large blocks of stone from the surrounding bedrock to build it. In our garden you can still see where the stone was cut away. They would have made an arched wooden former to hold the stone in place. To think that they then had to cut the stone to fit into not just a star shape, but a curved star shape, is just mind blowing. To fix it all together they just used a thin layer of lime mortar (malta). Once the ceiling was finished they had to then create the roof. To do this they just filled the gaps with rubble to bring it up to a slightly domed shape and concreted it. Some roofs also have stone slabs on top of this. The slightly sloping roofs were essential for drainage of rain water down into the cisterna, a large underground water tank, created when the stone was cut out to build the walls and roofs. Although there are still skilled builders who can construct star vaulted ceilings, and tufi blocks are often used in the construction of walls, many modern villas in the sunny south have flat roofs and ceilings. After the concrete sill has been put on top of the walls, ready moulded concrete girders with metal in, are placed in rows across the roof (travetta). Hollow terracota bricks are then slotted between them, and gridded metal placed on top of that. Once the wooden mould is in place around the edge, it’s time to get in the concrete mixer lorry with the long extending pipe arm. It’s amazing how far they can reach with those things. After the concrete is fully set, stone slabs are laid on top. The local stone is light in colour, making it good at reflecting the heat of the sun. It is also the most economical form of paving. There are some photos of the various stages on the blog page of Masseria Giulio. If you ever get the opportunity to visit a Palazzo house, go and have a look. The historic centres of many Italian towns have these Palace style buildings and they illustrate the wealth of the prestigious families that once lived there. From the front the only hint of opulence might be a large doorway with stone surround, but inside you will often find room after room with beautiful high ceilings and large windows. Many of them will still have amazing frescoes on them, fitting of any grand palace. In the north you may also see painted wood panelled ceilings. If you ever get the opportunity to visit a Palazzo house, go and have a look. We have an Italian friend with a frescoed ceiling in her family Palazzo. To own one is quite a responsibility with the priority being to ensure it doesn’t get damaged. Restoration work can be very costly, so it is important that every precaution is taken to prevent damp from leaking roofs and condensation. To get an idea of costs involved in restoring the roof and ceiling of a building of historical interest take a look at the work that was carried out on Palazzo Te in Mantova, Lombardy. In contrast to the grandeur of the Palazzo home,s the poor farmers in Apulia use to build houses with a dry stone roof, so that it could be dismantled to avoid paying tax. These so called temporary structures, called Trulli, are rather more substantial than a garden shed or gazebo. The cone shaped roofs are built using heavy limestone, which is carefully chipped to fit snuggly together and create a smooth slope to the cone. You can see them dotted about the countryside, as many of them were used by shepherds or farm workers as day shelters. If you want to have a good look at the inside of a Trullo ceiling, I recommend visiting the Unesco World Heritage site in Alberobello. When we first viewed property in Apulia we went to see a two coned Trulli, but found it to be small and dark, as they have no windows. They can be converted into quirky summer homes though and many have been extended to incorporate some larger square rooms with windows. As originally, they were built without mortar, if you buy one needing renovation work, this may include rebuilding the roof to make it water tight. This is a skilled job, so can be costly, but it is a craft that should be kept alive to ensure the unique appearance of Trulli in the Apulia countryside for many centuries to come. The same can be said for the skill involved in creating timber or stone vaulted ceilings. They are skills that should be passed on, otherwise we could end up with all buildings having boring flat ceilings and concrete roofs. Even the sight of a few wooden beams can add character and a homely feel to your Italian home.